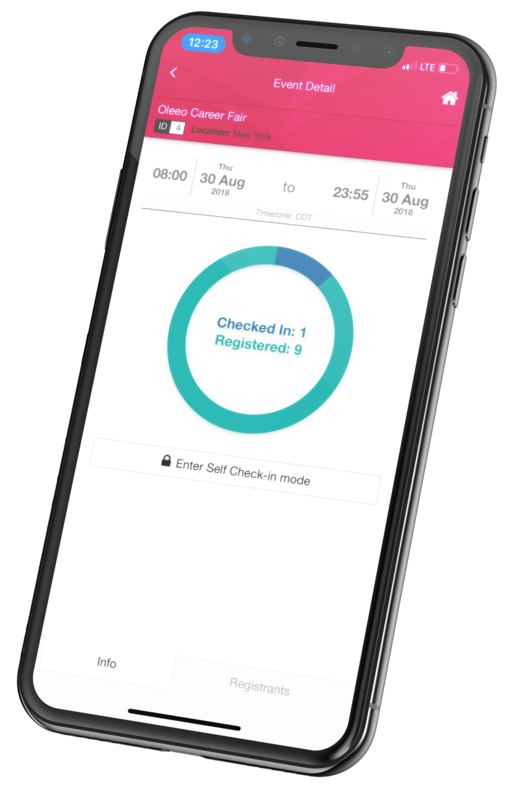 Now you can get the power of Oleeo Event Management up and running in 48 hours at a cost you'll love. Meet Oleeo Event Instant. From earlier engagement with top candidates to streamlining follow up for internal teams, get more value out of every recruiting event. 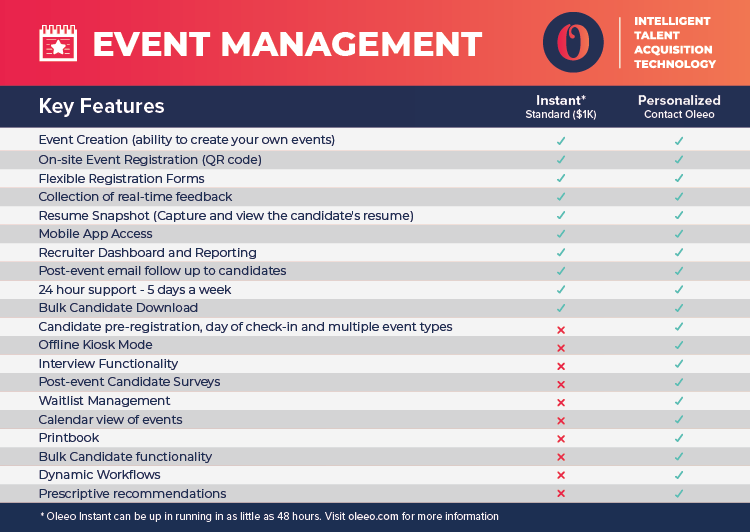 Oleeo Event Instant puts everything candidates and recruiters need in the palm of their hands. Create a recruiting experience that is simple, mobile, & oddly satisfying with Oleeo. Try Oleeo Instant and set your next event up for success in 48 hours. Get up and running instantly, without the hassle of a lengthy set up. Capture more high quality talent faster at high volume hiring events.